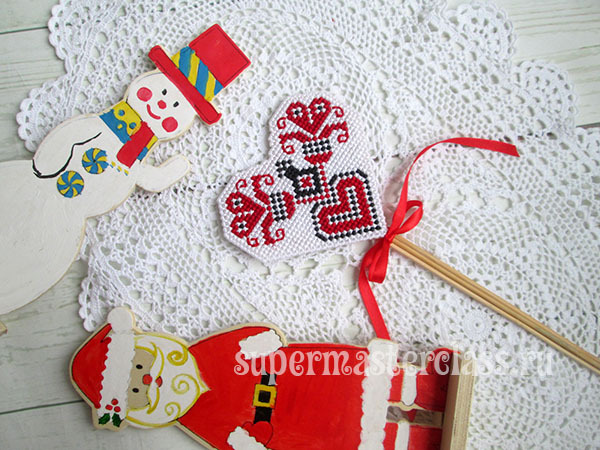 Embroidered Christmas souvenir can be easily madewith their hands from plastic canvas. 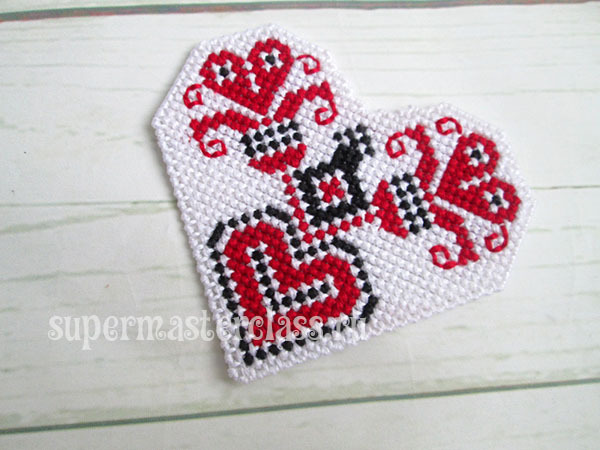 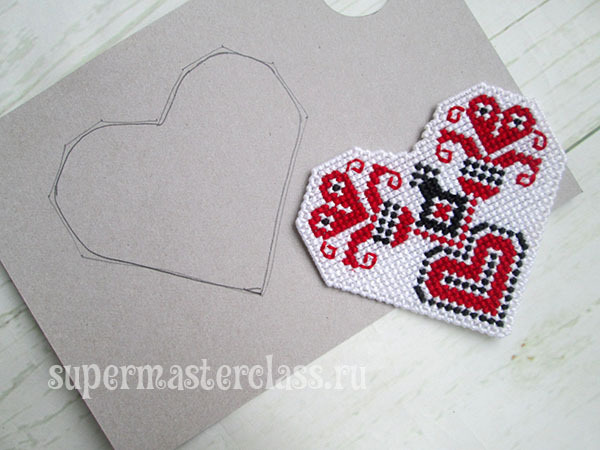 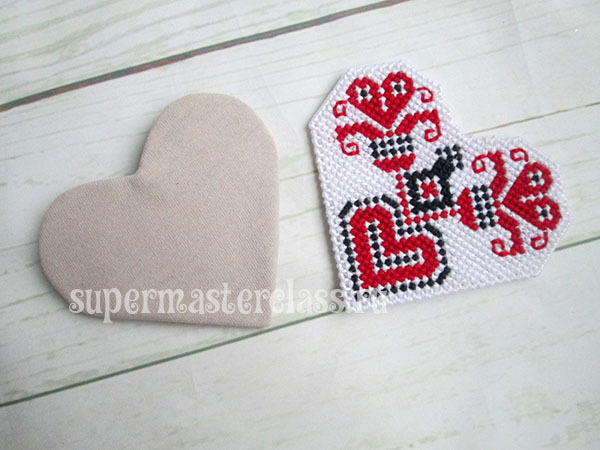 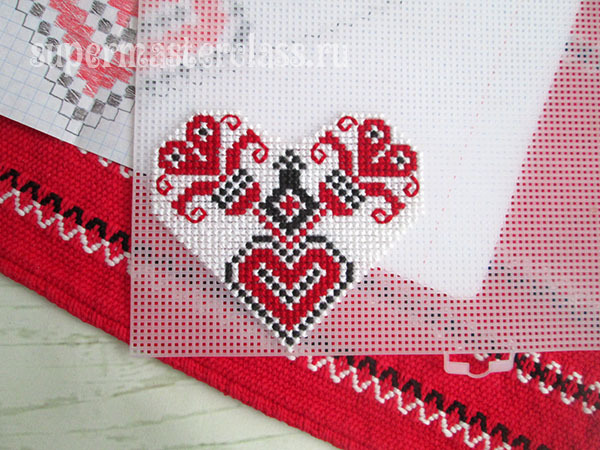 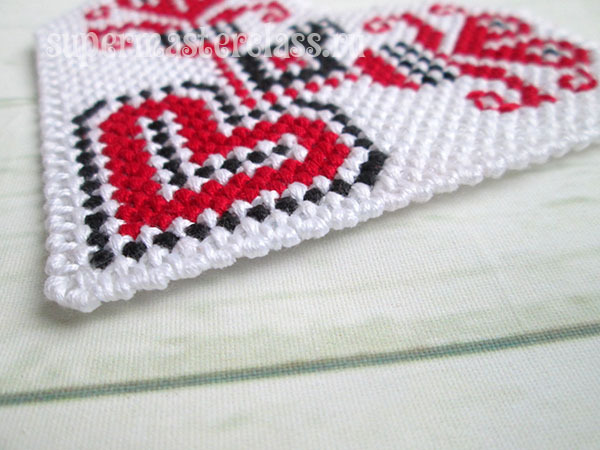 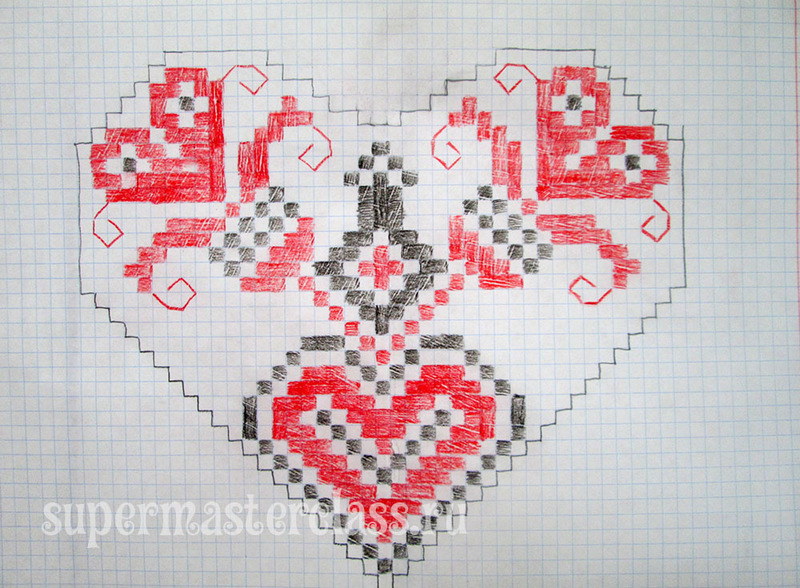 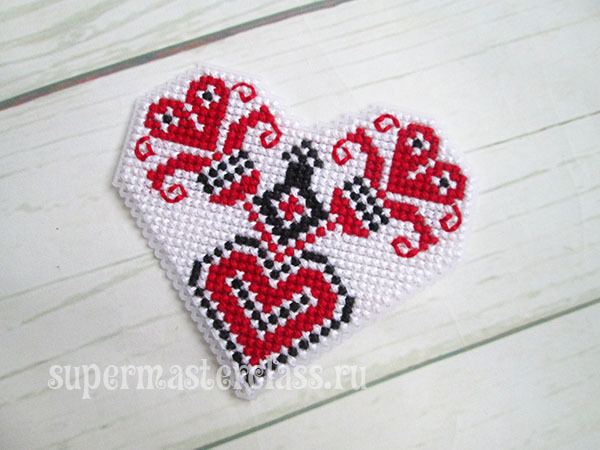 Embroider the motif you like, decorate it to your liking - and the original gift is ready. 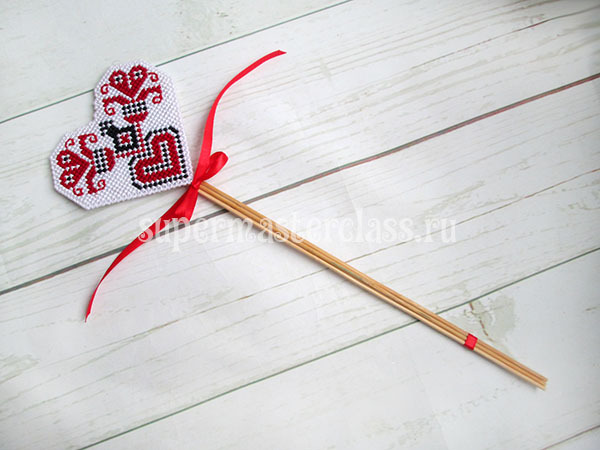 I have already shown how to do it in a similar way: the link suggested several use cases: magnet, suspension and on a stick, as in our case. 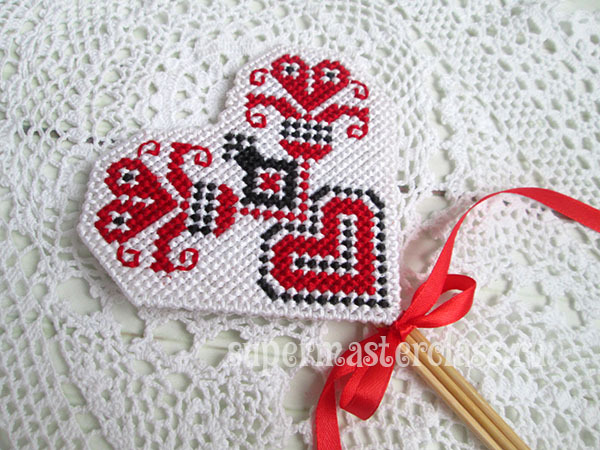 Today I will show how I made a souvenir in the folk style, which will not lose its relevance later, when it is time for the New Year holidays to pass. 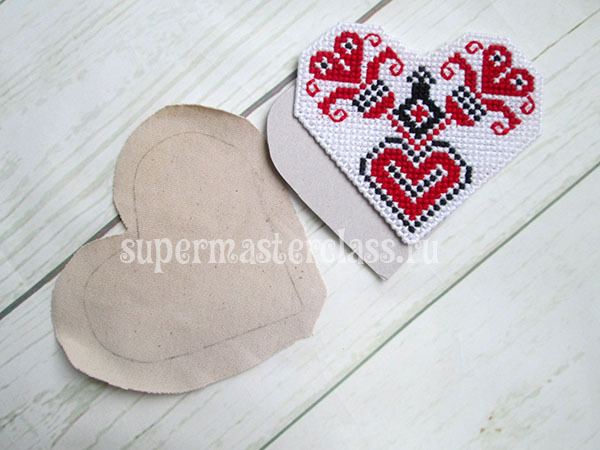 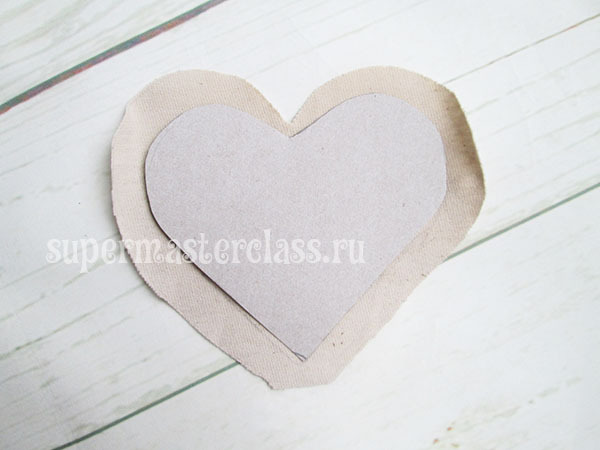 Such a heart can be put in a glass with pens and pencils or stuck in a flower pot. 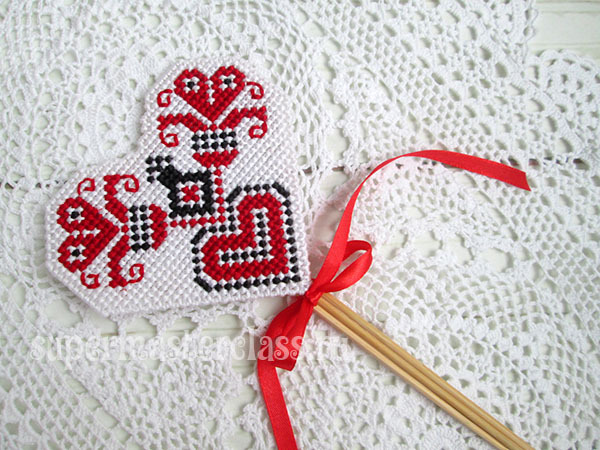 plastic canvas; floss red, whiteand black colors; 0.5 cm wide red satin ribbon for fastening sticks and a bow; three long bamboo skewers or one flat stick of suitable length (for example, a medical spatula not less than 20 cm long); cardboard; jersey of natural color for decoration of the back side of the New Year's souvenir; sewing threads of any color; glue gun; embroidery needle and sewing needle; small and medium sized scissors; matches or lighter.